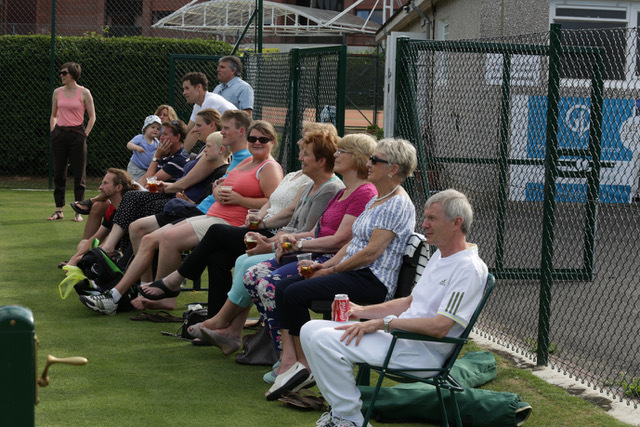 Epsom Lawn Tennis Club promotes and encourages the playing of tennis amongst people of all ages, backgrounds and abilities, providing opportunities for them to develop their playing abilities and to progress in the sport. If you are interested in joining Epsom LTC, we would be delighted to hear from you. Read our latest club information sheet or speak to Sarah White (Sports Club manager) on 01372 722487 to discuss further. We always have a full social calendar and all members are invited; whether it's tennis, darts, barbecue's or pub crawls - we have something for everyone! Epsom LTC Open Day on Sat, 27 April 2019 - please do come along anytime between 11am and 3pm! Free coaching and racquet testing. We provide a comprehensive coaching programme for juniors and adults that caters for beginners through to advance players. 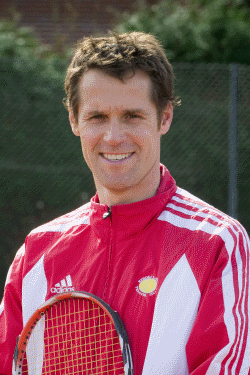 Our Head Coach, Mike Lavey, is a LTA performance coach and heads up a team of qualified coaches and trained assistants. We are a mini tennis accredited club and our junior coaching starts with children as young as 3. We have junior group coaching after school during the term and tennis camps during the holidays. Additionally we have a full schedule of competitions throughout the year that give our junior players many opportunities to compete. The adult coaching has groups which run during the day, the evening and at weekends. These are a great way to get back into tennis or take your tennis to the next level. Individual lessons also are available throughout the week for both juniors and adults. For any coaching information such as group schedules, holiday camps, individual lessons and prices please contact Mike Lavey on 07734 602063 or email him at mike@absolutetennis.org.uk. Epsom LTC is affiliated with the Lawn Tennis Association ("LTA") and follows its policies and guidance to ensure Epsom LTC is a safe, welcoming and inclusive venue that provides a high quality tennis programme, alongside the right environment to ensure the welfare of its members. All other courts may be used from 8am until 10pm. Additionally, there is a practice wall behind Court 12. Adult members may invite visitors to play on payment of a visitor’s fee each time they play. Current visitors fees are £5 for adults (£2.50 for under 18’s). The fee should be placed in an envelope (with your name and your visitor’s name marked on it) in the secure box in the clubhouse. Each visitor may play up to three times in a season. Junior visitors may only play as a guest of an adult member. We run several adult teams throughout the year for ladies, men and mixed, entering league and knock-out competitions. Match practice is held on Wednesday evenings for team members only. If you would like to try out for a team contact the Ladies or Mens Captains, whose details are displayed on the clubhouse noticeboard.